Fluorescein angiography (FA) may be used to definitively document retinal vessel occlusion and/or leakage. During an FA, a fluorescent dye is injected intravenously and a special camera takes fundus photos over several minutes while the vessels are being perfused. The test is best used to guide treatment of CSME, and not for diagnosis (AAO 2008). 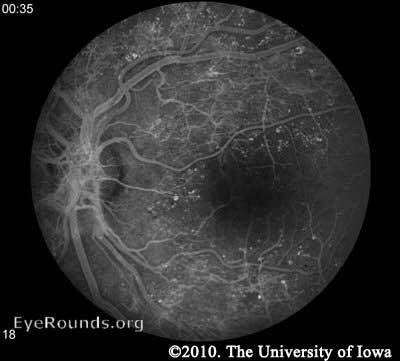 Neovascularization in PDR can be seen on the slit lamp and dilated fundus exams and does not require any special testing. Macular edema may be noted on fundus exam, but is much more easily appreciated using optical coherence tomography (OCT). 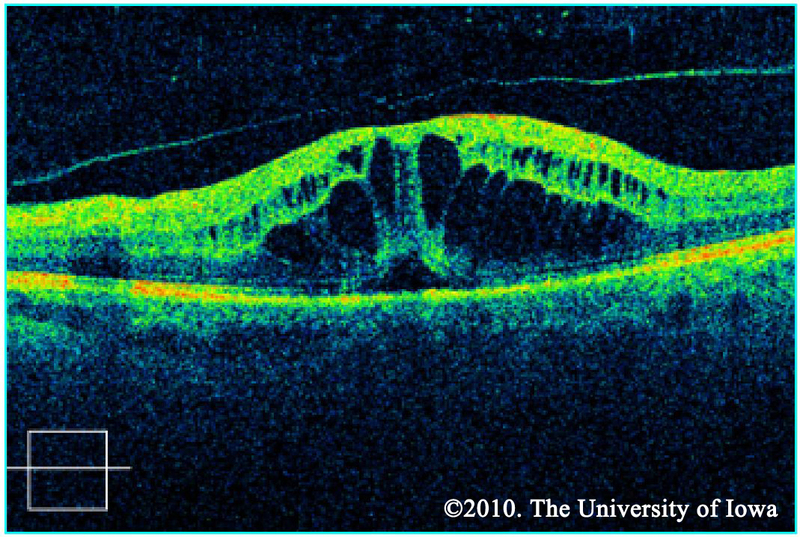 OCT is a laser imaging technique which produces an image showing the individual layers of the retina and the shape of the retinal surface. Fluid accumulation between layers can be appreciated as black patches on the scan and irregular retinal surfaces may reflect the etiology behind a patient's visual abnormalities. It should be noted, however, that in the ETDRS (the study which is used to support the treatment for CSME), OCT was not used. CSME was diagnosed only by clinical appearance. Ultrasound is useful to detect retinal detachment when the fundus cannot be clearly seen on exam due to a dense cataract, vitreous hemorrhage, or other reasons.